In case you missed it, last week's Fashion Friday was "GOING AZTEC." I accessorized my outfit with a fun and stylish necklace I recently purchased from Sira & Mara. 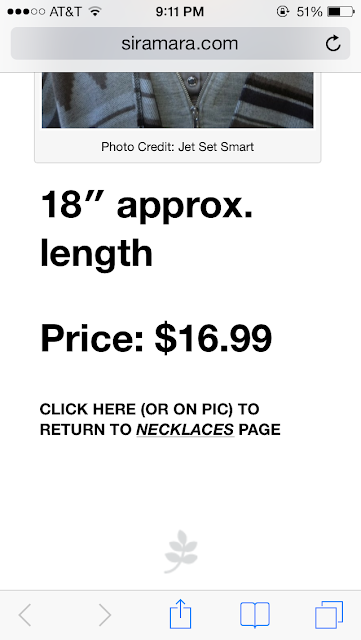 Well, I am very excited to share that they have decided to use me as their very first "happy customer turned model" and are now using my picture on their website to showcase the necklace. I can't tell you how excited I am about this! Here's the link to the page! (I couldn't put the picture from their website right to the blog so I did my best taking pictures from my phone and uploading it :-). Also, if you haven't checked out Sira & Mara's jewelry...well then what are you waiting for?!? 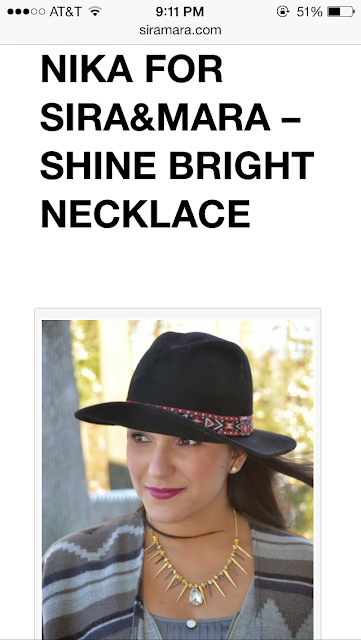 They have gorgeous necklaces and bracelets and they are all very affordable!